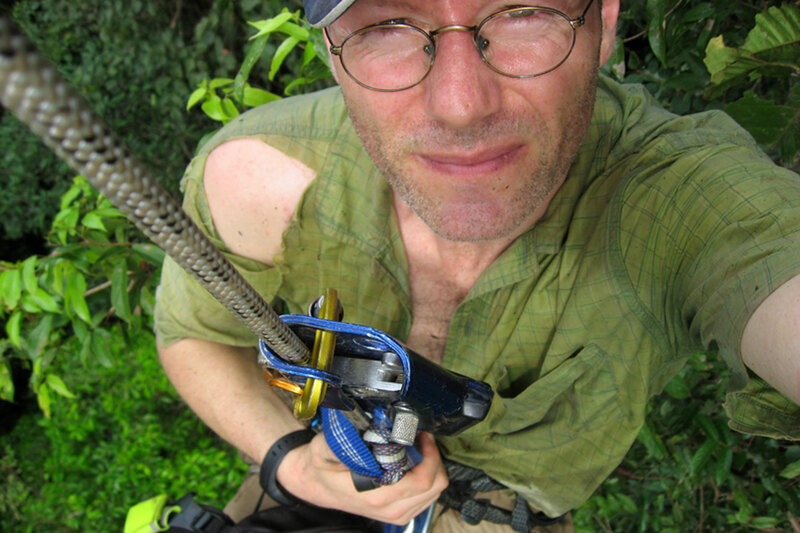 The Murung Raya Expedition 2010/11 was the ambitious, multidisciplinary expedition that launched the Heart of Borneo Project (now Beyond Conservation). In this article Dr Jan Beck, one of the scientists on that expedition, explains the significance of his recently published research on that expedition, and the importance of such research for conservation. Borneo’s biodiversity has been studied relatively well, but with a strong geographical bias towards the north-eastern, Malaysian part of the island. This may lead to a distorted view on the distribution of priority regions for conservation. Many natural factors, apart from human habitat destruction, can lead to variation of biodiversity between regions. For example, different natural forest types with different plant and animal species grow on different soil types. The age and history of a habitat type, in geological time scales, can also lead to more species occurring in one region than the other. Furthermore, diversity is strongly linked to topographic profile – most commonly, “mid-peaks” of species richness are found between 500 and 1500 m above sea level (depending on region and taxon), while diversity tends to be lower above as well as below these mid-elevations. Typically, higher proportions of rare, geographically restricted species tend to be found with increasing elevation. Biodiversity science is trying to understand the mechanisms that lead to such patterns. However, to study diversity it needs to be measured – and this is where things get tricky. Field research, specimen collection and similar activities are time-consuming and therefore expensive, so often researchers have to rely on accumulated data from earlier collections. Insect collectors are led by their individual interests, by opportunity and by finance. As a consequence, their activities are never equally distributed across a region. And the more people look for rare species at a place, the higher the observed species richness tends to be. Several studies showed how sampling effort can strongly affect the recorded pattern of species richness. In Borneo, the highest species richness is recorded in the Northeast, in Malaysia’s state of Sabah. Furthermore, many range-restricted, endemic species occur there. There may be good ecological reasons for this – for example, mountains are higher in Sabah compared to the rest of Borneo, leading to the occurrence of high-altitude specialists that are not found elsewhere on the island. Furthermore, the Northeast may have been a “rainforest refugium” during Pleistocene ice ages, when precipitation in the South may have been too low to sustain moist forests (this is a contested hypothesis that still awaits final evaluation). However, Sabah is also a very pleasant place for ecological field research. In comparison to other parts of Borneo, traffic infrastructure is good, many locals speak English, it is relatively easy to obtain research permits, and there is a long scientific tradition with established research stations that welcome new projects. So, possibly, Sabah’s pole position in Borneo’ biodiversity is largely caused by being a good habitat for (overseas) scientists. In a new, Beyond Conservation-associated study, we investigated the biodiversity of moths across Borneo. Crucial data for this study stemmed from my involvement in the 2011 Murung Raya Expedition. Our main focus was evaluating whether moth communities provide indication for (or against) a Pleistocene forest refugium in Borneo. In short, we did not find any evidence that indicates such imprints of climatic history, but that does not disprove the refugial hypothesis. Conclusively understanding the history of Southeast-Asian forests is important for conservation, because history could tell us, e.g., how quickly forest biodiversity can recover after dramatic climate changes. But in the light of contradictory evidence, this is probably still some way off in the future. However, another aspect of our data has immediate and clear conservation implications. In our comparison of local moth samples from lowland primary rainforest sites, we did not find any indication for higher biodiversity from the Northeast, compared to Central Borneo. This strengthens arguments for the equal importance of Indonesian Borneo for the conservation of the island’s lowland forest biodiversity. Scientists are increasingly aware of geographical biases due to unequal sampling effort and address them with various sophisticated tools of statistical modelling. However, the best countermeasure is to take the extra effort and do research in places where science is difficult, due to administrative challenges or because there is no road access, no air-conditioned research station and no fully equipped lab. This is exactly what Beyond Conservation does. If you cannot access these journals, contact me and I will send you a PDF. No Comments to "Moth Diversity and Conservation Priorities"